Skate Town is For Sale! 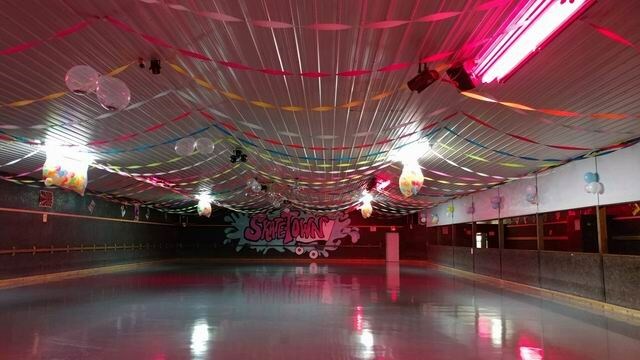 This legendary skating rink, located just south of El Dorado Springs, has been a mainstay in the community for the last 25 years. The business is still 100% in operation, and will continue to be through the selling process. This part-time business has a great following and is currently being utilized on Friday night, Saturday night, and birthday parties, which have become a huge part of the business. This is the only active skating rink within many miles of this location, so the draw to the business is strong. The building is 72"x150" (10,800 sq ft), sitting on 1.3 Acres with 130' of Hwy 32 frontage. The business offers concessions, video games (all owned), skate rentals and sales, and restroom facilities. A list of inventory is available upon request. Feel free to call and ask the listing agent, Ryan Hubbard, questions about this property. Showings will only be allowed to pre-approved buyers or by seller's permission. Come and See Skate Town!